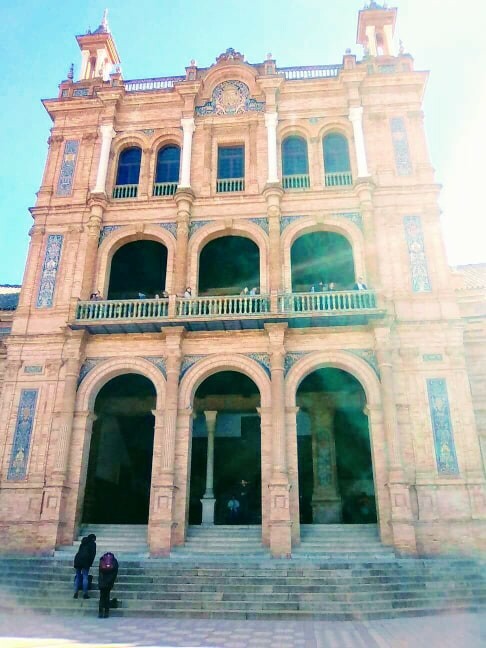 My journey in Seville was totally incredible, I met amazing friends in my road trip and we exchanged on many interesting subjects cultural and scientific, this allowed us to enrich our experiences together and live the most amazing and wonderful adventures. Once arriving in Seville, I was impressed by this amazing city of amazing castles, splendid architecture and six different bridges decorating the river Guadalquivir in an amazing way, Puente de Isabel II or Triana, Puente del Cachorro, Puente de San Telmo and Puente del Cachorro. Amazing tours can also be discovered alongside the river and the palm trees that allows poeple to relax and walk in the most beautiful landscapes, pratice sport with the most favourite friends or try some kayak in the calm river as well. I was always very impressed by Andalusia as its name is derived from the Arabic language Al Andalus, also in history it was governed in the year 716 by the new muslims and was a very rich empire. Andalusia is not only Seville it also includes many amazing provinces such as Cordoba, Granada, Huelva Malaga mainly. 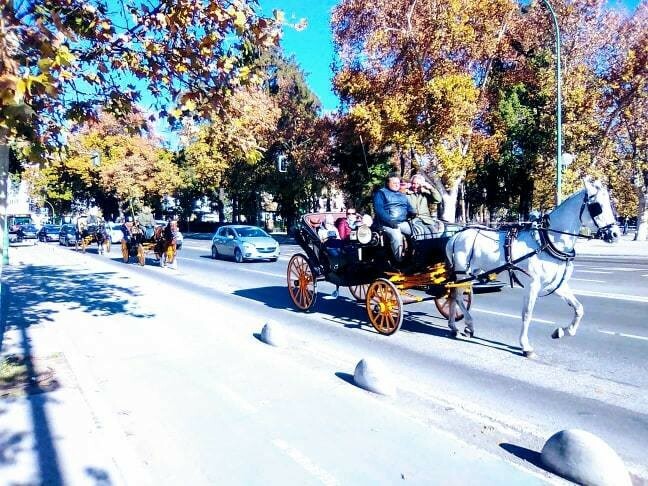 Seville have a very hot weather in summer time but the climate turns out to be warm and sunny in winter so it's more advised to visit the city in winter to enjoy the great monuments while being refreshed. 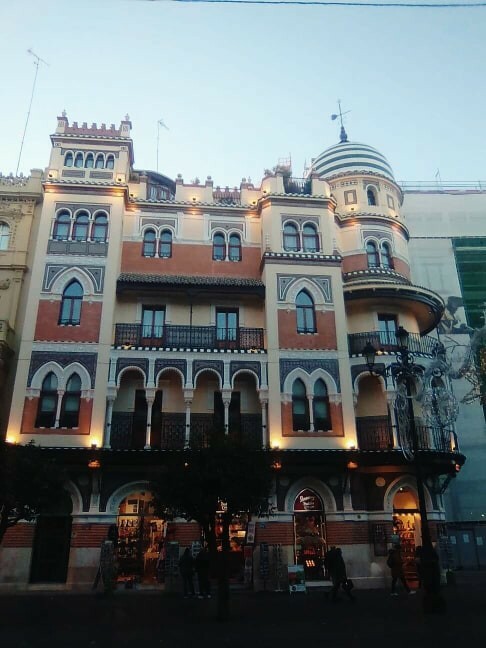 I did all my trip inside Seville walking, it was the best way in my opinion to discover all the attractions of the city and to feel the real excitement of the travel. I began with discovering the most splendid monument in all the city the castle called real alcazar. It's is a royal palace and a historical residential fortress which name is also derived from the Arabic name al-qasr which is the palace. It's considered really one of the most emblematic areas and the most conserved in terms of beautiful architectural design. The entrance of the castle begin with the puerta del leon which is the gate of the lion with very beautiful gardens everywhere decoration this amazing landscape, the beautiful arcs very conserved and centred by the largest area which is the Patio de la Montería courtyard, many inscriptions written in Arabic were still decorating the wall of the castle. 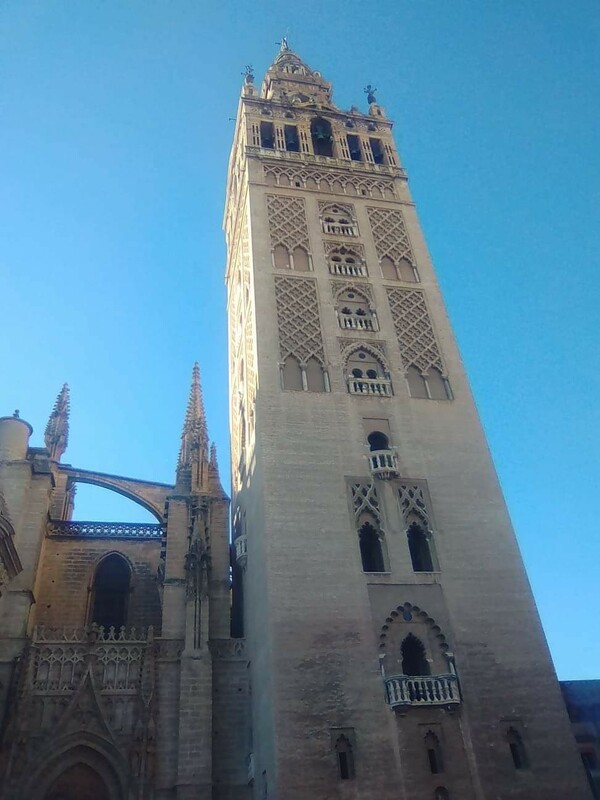 Then i went to discover one of the most emblematic monument and the longest one, La gilarda, it was previously a minaret and a past mosque that was reconverted in a cathedral. Very beautiful facades and windows of the building give to the city a magical charm and a very unique aspect. La gilarda is the bell tower of Seville is a real example of the Gothic and Baroque architectural styles. detailed designand very conserved monument from outside and inside can only make poeple impressed by its impact and charm inside of the city. In front of the Giralda i met with very kind girls coming from Dubai with their mum, we discussed many interesting subjects and we exchanged mainly about our respective travel experiences, we had great fun and amazing time, we decided then to try the carriage with horses since it was cheaper for four poeple to have a one hour tour around Seville than to go for it alone. The tour costs 45 euros so we paid respectively 11 euros and had amazing fun to discover the main monuments of the city like the bullfight place or Plaza de Torros, Museo de Bellas Artes, Museo Arqueológico de Sevilla, Museo de Artes y Costumbres Populares and Castillo San Jorge, the factory of tabacco, plaza de espania. 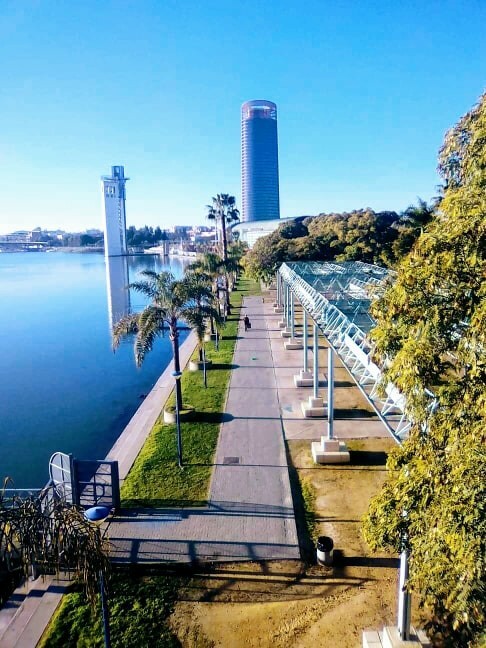 The city is not very big, so it is more suitable to walk to discover each time a new castle, a new building, many shopping centers and a free tour can also be done with touristic guides that speak both english and spanish to help poeple oriente themselves inside of the city. The boats decorating the river in the other part of the city add more charm to Seville with sportive poeple praticing various sports such as the canoe in a very wide competition. Also many flamenco shows were presented by beautiful girls wearing their special dresses and dancing in the street with harmony with the beautiful music. The Torre del Oro or golden tour can also be discovered near the river part as an emblematic place and very conserved architectural monument. There are also tours by the bus to show all the parts of the city and amazing attractions for only 24 euros, The plaza de espania is a splendid place and probably the most amazingly beautiful monument among all the monuments in the city. The hostels were not very expensive, in fact we can find easily hostels with one night cost of 11 euros to 13 euros and spend the most amazing days without the need of paying much money. This content has been entered in the Erasmus Travellers Competition and have earned 532 points.